A friendly reception, productive advice and face-to-face contact are just as important to us as consulting services, which are tailored to the particular needs of our clients. Our clients appreciate both our well-thought-out economically advantageous solution recommendations and the uncomplicated contact with the responsible lawyer. Through continuous professional training our employees deepen their individual core area. Some of REUTER Rechtsanwälte lawyers distinguish themselves through the graduation of special solicitor courses in the area of insolvency- and labourlaw. 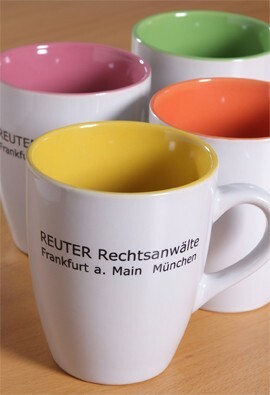 Before the law firm REUTER Rechtsanwälte was founded in the year 2006 Sven Reuter worked for a nationwide law firm. Predominantly he took care of duties regarding insolvency laws and accompanied insolvency proceedings on the administrative side as well as on the creditor side and of duties regarding contract and sales law. In 2007 he successfully completed the specialist solicitor course (Fachanwaltslehrgang) for insolvency law. Before Sven Reuter became active for law firms, he worked for a German major bank in the real estate division. Real estate, contract and sales law with international reference are a core area of his professional life next to insolvency law. Axel Sieberichs worked for a nationwide energy dealer for several years and was entrusted with all legal duties in coherence with day-to-day-business before he joined REUTER Rechtsanwälte. Axel Sieberichs helps our clients defend themselves against or enforce claims against insurances or the injuring party, represents clients in active or passive cases before court and gives legal advice regarding tenancy law and insolvency law. Regarding the examination of possible penal aspects Axel Sieberichs can also fall back on professional experience. Wolfgang Bügler specializes in contract law, general terms and conditions and corporate law. He is your main contact when it comes to civil procedure questions. Prior to joining REUTER Rechtsanwälte, Mr Bügler focused on process management. He worked for a nationwide mid-size law office specialized in civil law.